The DC1224 is a ruggedised, efficient DC-DC up converter. It generates 24V to provide power for communications equipment from an unregulated 12V nominal input. 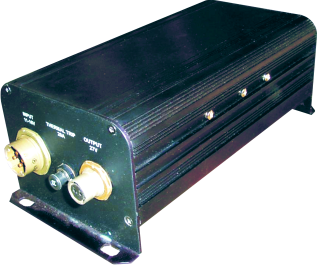 The primary function is to power military communications equipment in commercial vehicles.